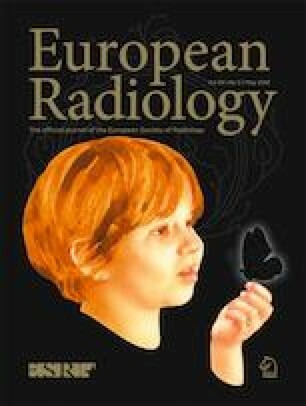 CT diagnostic reference levels: are they appropriately computed? To estimate the variability of CT diagnostic reference levels (DRLs) according to the methods used for computing collected data. Dose-length products (DLP) were collected by our national nuclear control agency from the 250 devices installed in 140 medical centers in the country. In 2015, the number of head, thorax, abdomen, and lumbar spine examinations collected in these centers ranged from approximately 20,000 to 42,000. The impact on DRLs of the number of devices considered, as well as the differences in descriptive statistics (mean vs. median DLP) or methods of pooling DLP data (all devices vs. all patients), was investigated. Variability in DRLs was investigated using a bootstrapping method as a function of the numbers of devices and examinations per device. As expected, DRLs derived from means were higher than those from medians, with substantial differences between device- and patient-related DRLs. Depending on the numbers of devices and DLP data per device, the variability ranged from 10 to 40% but was stabilized at a level of 10–20% if the number of devices was higher than 50 to 60, regardless of the number of DLP data per device. Number of devices and of DLP data per device, descriptive statistics, and pooling data influence DRLs. As differences in methods of computing survey data can artificially influence DRLs, harmonization among national authorities should be recommended. • Due to CT dose variability, that of DRLs is at least of 10%. • DRLs derived from medians are lower than from means and differ from those obtained by pooling all patient data. • Fifty to 60 devices should be sufficient for estimating national DRLs, regardless of the number of data collected per device. The authors state that this work has not received any funding. The scientific guarantor of this publication is Denis Tack. Written informed consent was not required for this study because according to the EU legislation (i.e., the Directive 95/46/EC regarding the protection of data of individuals), a purely observational retrospective study with complete anonymization of the data at the source, which removes any possibility of identifying the individual patients, is not subject to ethical review or to written informed consent. • anonymized dose registry data analysis at national level.